Was the Catholic Church simply a new way for the Romans to rule their empire? The traditional conquest model didn’t work any more, so was this another way to keep control in the same hands? It is a thought that has occurred to more than one person over the centuries. If you were looking for evidence to support the idea you’d be off to a good start with the career of St Ambrose. His father was the governor of a large province in Gaul. Ambrose was educated in Rome with the intention of following in his father’s foot steps. And he started off doing exactly that, being the governor of a region including Milan. Rome was still the nominal capital, but Milan was where the emperors lived and so that was where the real power was. Gregory of Nazianzus has an enviable reputation among the leading lights of church history. But it his ideas and writings that are remembered. His actual achievements in the real world are less impressive. His biggest one, his appointment as bishop of Constantinople by Theodosius – probably the top job in Christianity at the time – didn’t last long. Once again it was politics that let him down. Some intrigues originating in Egypt (where else?) aimed to replace him. Given how hard he had worked for the cause of Orthodoxy that was at the very least ungrateful. Gregory ostentatiously resigned, no doubt as a manoeuvre. The early years of the reign of Gratian, who came to the throne at the age of 19 were very promising. He defeated the Lentienses at the battle of Colmar freeing Gaul from the threat of German invasion. He also solved the problem of who should rule the Eastern empire by the canny appointment of the very able Theodosius. If that was the measure of the youthful Gratian,things seemed set for a glorious reign as he matured. But it soon turned out that the early successes were down to good advice from the people placed around him by his father. They didn’t reflect the character of Gratian himself. Since the time of the first emperor. Augustus, there had been a rough equilibrium between the empire and the German tribes. The empire had been too big for the Germans to defeat, but too overextended to threaten their independence. But with the Huns now about to wipe out the Germans the position had changed. The equilibrium was wrecked. The Goths understood the change in the situation sooner than anyone else. 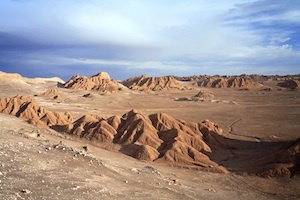 The origin of the Huns is obscure. Gibbon traces it back to early first century when they were known as the Tanjou and lived on the borders of China just north of the Great Wall. This was not a coincidence. The Tanjou were a force to be reckoned with. 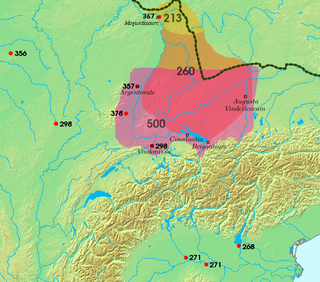 They had put together a vast coalition of steppe peoples via diplomacy, war and straight forward intimidation. They had become powerful enough that they threatened to overthrow the ruling dynasty in China itself. The first wall built by the Chinese was a specific response to this threat. From the fall of Carthage in 146 BC to the arrival of Christianity at the end of the 2nd Century nothing much happened in the Roman province of Africa. But although it was uneventful it was far from unimportant. 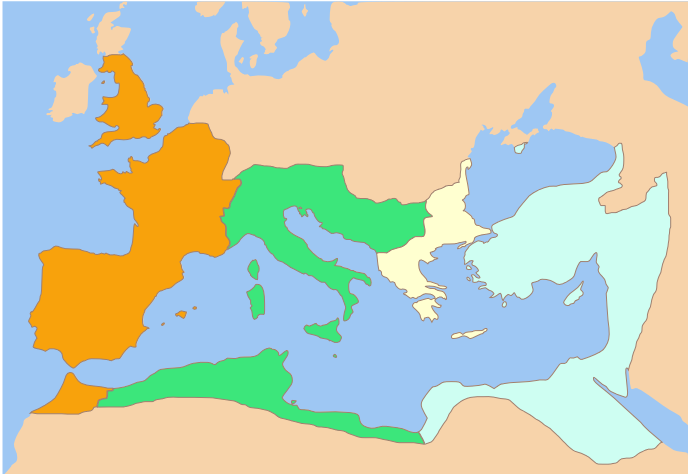 The Romans used Africa as the name for the area around Carthage, modern day Tunisia, and the southern shore of the Mediterranean to its east – the northern part of modern day Libya. At that time it was highly productive and fertile. The bread dole that formed part of the bread and circuses that kept the population of Rome fed and entertained was largely from this region. The wide waters of the Rhine separated the rich and peaceful provinces of Gaul from the violent barbarians of Germany. But it was no barrier. The warlike tribes were only prevented from helping themselves to the property of the empire’s inhabitants by the Roman army. The frontier was tough to defend and during the reign of Constantius had become very porous indeed. It is hard not to admire the way that the Jews have succeeded in maintaining their culture and identity for many thousands of years. This has been achieved in the face of some pretty big practical difficulties. They have rarely had the support of a state and have often been subject to some pretty severe persecutions. For instance, when Julian became the last pagan to come to the throne they were going through one of their bad patches. The Christians had not that long ago broken away from the Jewish tradition and the two faiths had the kinds of issues that might be expected from a pair that had just been through a messy divorce. 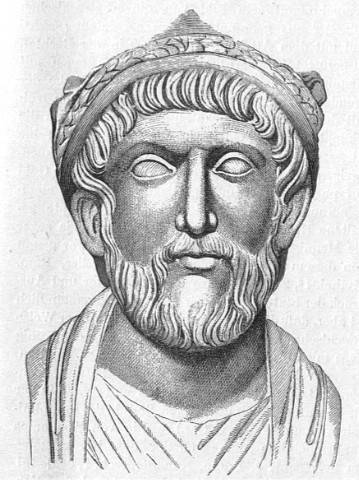 Prior to the rise of Christianity the Jews had fallen foul of several of the emperors as a result of a number of brave but not tremendously successful revolts. Hadrian had banned them from Jerusalem. The ban was still in force and on top of that Constantius had imposed extra taxes on them.